The Crafter’s Box is for those that love to make. We have built a project from the ground up for those that love to make, build, shape, design, and create. There’s something special about the art of making - of spending time working with our hands to create something beautiful for ourselves, our home, or someone we love. With this in mind, The Crafter’s Box has brought together experienced makers and has asked them to curate a unique box of tools and materials to build something beautiful. We’ll release one project a month with a delivery to your door and an online workshop to dive into. 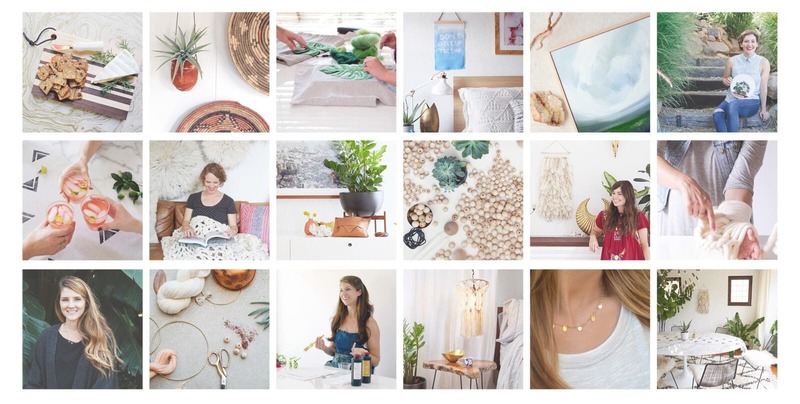 Crafting + curated, quality materials + specialty tools + a step-by-step digital workshop from an expert, artisan maker + a beautiful online community + a finished project worthy of our energy and talent. Our expert makers bring this project to life by introducing a new crafting technique each month through a thoughtfully filmed workshop. They walk through the how’s and why’s and educate us on a brand new style. We’re working with local craftsmen, family farms, small businesses, and established manufacturers alike to bring quality materials and sustainable, well-made goods to every box. By providing the tools to learn a new craft, everyone can continue to create again and again and again. These are tools that each featured artist has chosen for their unique style. We’re starting a community of makers. Reach each artist through a special podcast and a live Q&A. As you work, collaborate, ask questions and share your project in our moderated forum. We are growing a crafting community. Learn more about our artists with a monthly podcast, a featured maker page for each project, and lively Q&A sessions where you can chat crafting, share ideas, and collect feedback for each month's workshop questions. Our goal for The Crafter’s Box is that you’ll be inspired to try new methods of crafting and experiment with your creative boundaries. There is nothing quite like building with your own hands and we are so excited to help curate that for you on a monthly basis. But! We’ve realized that we have the opportunity to source quantities of materials and tools that make production sense for both our small family suppliers (wool farmers, wood craftsmen, metalworkers, just to name a few) and our quality manufacturers. By turning our membership into a kit, we’re building a sustainable model that supports everyone. At the center of supporting handmade is a fair price for quality materials. We love you (and them) that much, and the finished project is that much more special & amazing.